I am very excited to introduce my friend, Stacy Dickman, to the Texting the Truth community today! Welcome, Stacy! Thanks, Katie! I’m excited for the opportunity to share today. Can you begin by telling us a little about your kids? I’m mom to three — a middle school girl and two single-digit boys. They are the lights in my world, even on the toughest days. I still think of them as my babies, but they are certainly growing into amazing young people. Do you have a family photo that you can share with us? Sure! Here’s one that is a perfect capture of our personalities. We are incredibly goofy together. 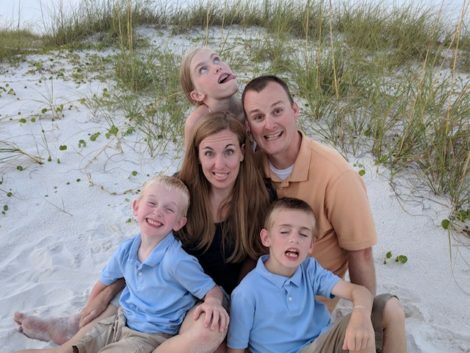 We took this picture during our beach trip. With all the formal photos, this is the one I love the most. I love it! Pictures that capture personality and everyday family moments are the BEST!😍 So, tell us more about life with your fun-loving family … what is your favorite go-to, easy meal to throw together for your family? We do a lot of noodles. I know, not always the best choice, but they are easy and the kids actually eat them! Yum! I think if I was forced to give up all other food, I could live on just pasta every day!😉 Do you have any favorite mom products to share? White board calendars. Things change way too often! Isn’t that the truth! Do you wear any other hats in addition to your [big, gigantic, hugely significant] mom hat? 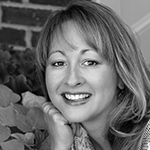 I’m a writer (www.stacydickman.com) and an author. I blog about mom life and women’s issues. And my new book Labeled: Redefining the Woman God Made You to Be is now available! I have all sorts of mom roles at home and school, and I teach kids at church on Sunday mornings. It was through teaching Sunday School that you and I first met! And congratulations on the newly published book! I was so excited to rip open my Amazon package last week and pull out Labeled! I haven’t been able to put it down! So honest and relatable! Can you share a little about what inspired you to write it? If you struggle with identity – knowing who you are as mom – you are not alone. I wrestled with these ideas and definitions for a long time. Trying to be the woman the world wants me to be is impossible. So, I began to ask God what He wants me to be. I found that the words I was using were not wrong, but how I was defining them was not what He wanted for me. I wrote all about what I learned in this book. And I, for one, am so glad that you did! Your book is encouraging me on my own journey of learning to really understand who God made me to be. Can you share with us a recent experience that has challenged your mothering? My children recently changed schools. It was a hard change because we absolutely loved our old school. It was hard as a mom to send them off to new schools with all new faces. But, by the grace of God alone, we have adjusted well. Changes that affect our babies are some of our biggest challenges as moms, I think! What has God been teaching you through this experience of changing schools? I have had to learn to trust. Trust that God has my kids in mind as much as He has me in mind. I have had to learn to trust others like new teachers and principals, bus drivers, and new friends. I’ve always held my kids so close, but in this new environment I have had to let them spread their own wings a little. Each step of letting go and watching our children become more independent is so challenging and so bittersweet! I love your reminder, though, that God has our kids in His mind and in His care! 🙌 Do you have any general words of encouragement for other moms in the trenches like you? Keep going. It doesn’t have to be perfect or look like anyone else. Every mom role is our own, and God made us to fulfill it in our own way. All we have to do is keep going and keep following Him. I LOVE that and need to remind myself of that every day! Thank you for sharing your heart with us today, Stacy! Do you have a story you would like to share? 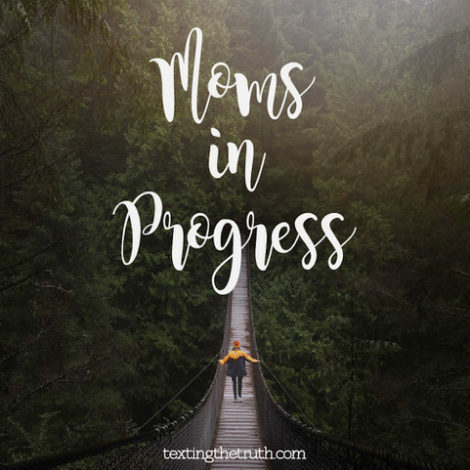 Click and answer a few questions about your journey as a Mom in Progress. Today, we are excited to welcome Holly Whitacre — mother of a 21-year old daughter in college! Tell us a little about this picture! It was taken at a tea shoppe that used to be housed on the Lebanon Bike Trail in Cincinnati, Ohio. 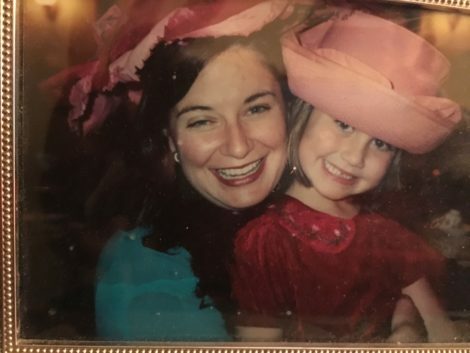 We were at a tea party for a group of women my grandma’s age who had invested in my mom and me throughout the years as a small group Bible study for women. We entered the shoppe, selected hats off the walls and took a two-hour break from the agony that I was experiencing due to a major shift in my life. I was battling depression and had stepped into a healthier life. At the time, I was a stay-at-home Mom, with no income, no prospects, and no idea what I was going to do. Yet, I chose Joy. By God’s Grace. It is 15 years later. 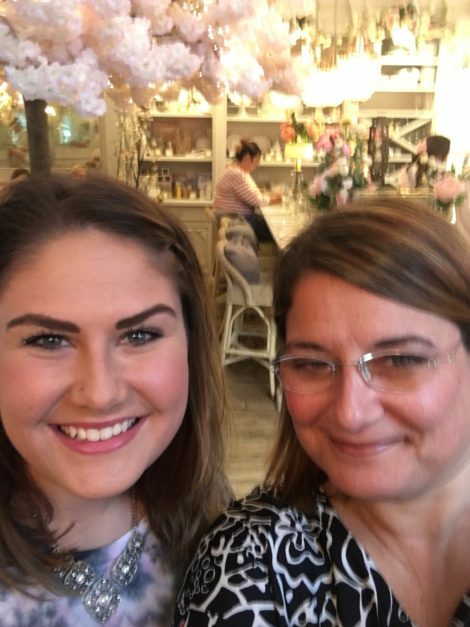 That little girl is studying in Luxembourg via Miami of Ohio and texted me moments ago about her trips to Belgium and Munich! Oh wow, I love that, Holly. Can you tell us a little bit more about your daughter? Kaitlynn is 21 years old and is a Strategic Communications and Arts Management double major at Miami of Ohio. She is interested in working in the business portion of the music and film industry. She is involved at Crossroads Community Church Oxford Campus and decided to get baptized last spring. She is articulate, kind-hearted, gentle, fierce and brilliant. And I am proud. Absolutely! I would be too. And congratulations on her baptism! Now tell us more about yourself. Do you wear any other hats in addition to your [big, gigantic, hugely significant] mom hat? I am a Life Coach, with a practice called “Move Ahead Coaching” that focuses on women navigating personal or professional transitions. I have a particular specialization in working with moms of young children who are seeking to also keep an eye on their own goals. I am also a teacher, and most of my career in education has been spent as a Gifted Intervention Specialist, working with elementary school children. Most importantly, I am a Christ follower, which means lots of prayer, reading, and writing. 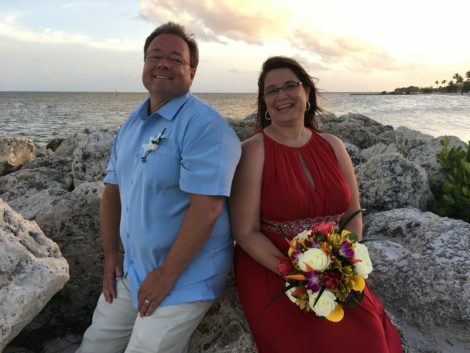 I am also a newlywed with a tremendous devotion to my husband and pride in his career as a Psychiatric Nurse Practitioner, concentrating on addiction issues. He is also an adjunct professor at Indiana State University. Did I mention that I am proud?? Now for some everyday questions. What is your favorite book, podcast, or blog? My favorite book: blank journals, with fine quality paper, waiting to be filled with my conversations with God. Ohhh, ditto! I love a new journal. Next question: What is your favorite mom product? Does sleep count? How about coffee? YES, it counts! Do you have a favorite kind of coffee? What is the last thing you made for dinner or your favorite simple meal to throw together? Toast. No kidding. And then a walk to the Jeep to go sit in a restaurant. Five nights straight. In truth, life usually looks pretty simple when I am cooking. Tonight we are having grilled salmon and veggies. Haha! I think every mom just shared a sigh of relief in the thought of simple dinners! Wow. That is not hard to remember. About seven weeks ago, Kaitlynn got on a plane for Iceland, and then Luxembourg, and I won’t see her until we get there on December 12th. The entire summer I felt like I was in a pregnancy again…about to give birth. I could not figure it out and really spent some major time in prayer, crying and agonizing over what-have-I-forgotten-to-teach-her-that-I-need-to-wedge-in-NOW. God has been good, as always. He has been gracious. Kaitlynn is there, thriving. I am here, thriving, too. LOVE IT! Yes, God is so good! Even when we begin to panic, He is faithfully steadying us. How did you get through it when your fears were the loudest? Time in the quiet early hours, like 3:00 am, everyday for weeks–candle lit, coffee in hand–that quiet time is what got me through. In the stillness of night He speaks clearest to me, and He offers that to everyone. My Bible is literally falling apart after the past 13 years and I love that…He is watching, guiding, speaking…If I stay laser-focused, get quiet, and open my heart…then I can hear Him. Know this: I’m not always able to quiet myself like this and hear…sometimes the rattle of life does just that: rattle. And I definitely don’t wake up at 3:00 am all the time…that happens on my own when I’m really worried about something. I feel like its a wake-up call God gives me to set things straight and help me discover the peace He is offereing. Such good advice… I can really resonate with wanting to hear His voice and needing to quiet myself. I bet a lot of other moms are relating to that too. Now for a lighter question! This week we’re talking about “a time to laugh and a time to cry.” What is the funniest thing your daughter has said or done recently? As soon as Kaitlynn got to Luxembourg, she went and had American food, followed by Chinese food the next day. She has a food blog, so I get it, but I thought my favorite foodie would immediately embrace local flavors with as much gusto as she’s been embracing the equivalent of a local steakhouse.. 😝 She’s made up for it since, though, and has spent every weekend in a different country for the the past 7 weeks, so her international foodie status (is that a thing?) is definitely intact. Hooray, Kaitlynn, for being brave! Every part and stage of motherhood I have thought, “This is The Best Stage”…and then it keeps getting better. Truly. Have we had our moments? Have I had mine? You bet. Thank goodness for God’s Grace. The joy of the journey far outweighs the drama of the moment. Whoa. That is just what I needed to hear today. I think I’m going to frame that last thing you said and put it on my wall to remember!! Thank you so much for talking with me today, Holly!